Will the AXANAR LAWSUIT settle??? It could happen! Yesterday, the two sides had a court-mandated meeting to discuss ways to settle the case before going to trial. Most lawsuits settle before ever reaching trial (like 90-95%, I’m told) because it’s usually not worth the cost and the risk of losing to ether side. Also, full trials take up a LOT of time in court. So far, the Axanar case has required only a few hours of a judge’s actual time on the bench (plus some extra time in chambers reviewing filings). But an actual trial can take days or even weeks to finish, plus the costs of sitting and potentially sequestering a jury. So it’s often in the best interests of the legal system, as well, for cases to settle rather than coming to trial. And so Judge R. Gary Klausner (the main judge in the Axanar case) ordered both sides to try–really try–to come to an agreement…a compromise where both sides give a little and get a little. Magistrate Judge Charles Eick, who had just made two major rulings in the discovery phase, was told to facilitate the settlement talks on Monday. None of us really knew what to expect…not even Alec Peters himself. Previous settlement offers from the studios, it was reported, were pretty harsh in their terms. Rather than making an offer Alec couldn’t refuse; they made one he couldn’t accept (details are unknown, of course…unless somebody leaked something). Likewise, I’m certain Axanar‘s counter-offer to the studios during previous settlement attempts wasn’t that thrilling either, as CBS and Paramount didn’t accept what Axanar was offering. And so things kept going…until yesterday. Had you asked me to give odds, I would have said 75% chance of not settling. Why? Alec has little if nothing to lose. As I said in previous blogs, the chance of losing big is minimal for him, and the chance of making a huge name for himself as the “David” who conquered the “Goliath,” while also minimal, might be attractive…as would the possibility of ultimately making his beloved fan film. As for the studios, they need to come out looking like they won. CBS and Paramount are allowing Star Trek fan films, but only on their terms. Alec Peters and Axanar represent a possible (and very public) exception to that rule. If Alec comes out of this lawsuit getting what he always wanted anyway, the studios have a very troubling precedent on their hands…and a potential loophole other fan films could possibly exploit. So it’s in the studios’ best interests to smack down Alec Peters and smack him down hard…and a settle isn’t a smack down; it’s a compromise. But that still left, in my mind at least, a 25% chance of an actual settlement. Would the two sides be able to come together–meet in the middle at least a little? I know some people (not just at the studios) want Alec Peters obliterated down to the molecular level. A settlement wouldn’t accomplish that. He would come out somewhat ahead, somewhat behind…and so would the studios. OK all, just got home from the Court mandated settlement mediation. We did not reach a settlement, but we are close. We will know by week’s end, as the attorneys have a call with Judge Eick Friday. Everyone needs to manage their expectations. A settlement means neither side gets exactly what they want. Well, well, well…so much for my 75% chance of things going to trial! Seems like it might be the opposite. Being close to a settlement is actually a very good sign. Usually the last few details are negotiable rather than deal-breakers. And for those of you thinking that the attorneys for the two opposing sides simply hate each others’ guts and will never be able to work anything out, that’s actually not true. I spent a half hour in the courtroom before the hearing on Friday, October 21, chatting with two lawyers each from Winstron & Strawn and Loeb & Loeb. They were all friendly to each other, jovial, joking, telling stories…it was like players from two different sports teams who compete hard on the playing field and then go out for drinks at a bar after the game. So what will the settlement bring? It’s hard to say, and we may never know for certain. (And no, no one has told me ANYTHING…and believe me, I’ve tried like the dickens to find out!) But there will be some telltale signs to look out for, at least in my opinion based on things Alec has said publicly and things which are pretty obvious. 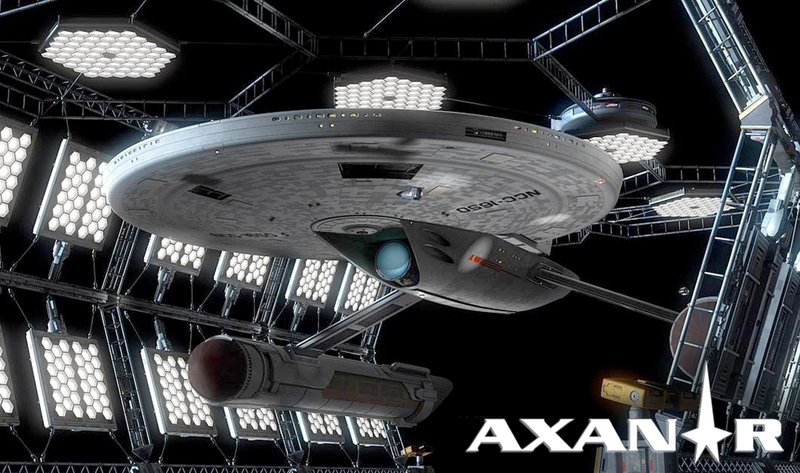 The biggest question will be: will there ever be any more Axanar in any form–following the guidelines or not? If so, then you’ll probably be able to figure out what one of the terms of the settlement was. And if there isn’t, well, then you’ll still probably be able to figure out what one of the terms of the settlement was. 2. Does the studio get shut down? A similar question goes to the continued existence of Ares or Industry studios. 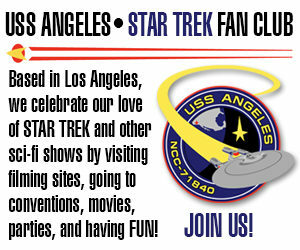 It was paid for with donated money based on fans wanting to see a Star Trek fan film. It was intended to produce Axanar but also to be rented out to other fan filmmakers. Does the Valencia, CA studio move forward or close down completely…or evolve in some way? Does Alec Peters remain involved or not? Can the studio crowd-fund to keep itself open until productions rent the space? The fate of Ares/Industry studios could give us all a clue of what was in the settlement. 3. Will any money change hands? Alec was facing a potential judgement in the millions if he lost a worst-case scenario ruling. But if he won, the studios faced a counterclaim that could have been in the mid-six-figure range. Is it a wash? Will one side write a check to the other? We’ll likely never know unless we see Axanar getting made with no additional crowd-funding campaigns needed because Alec and/or Axanar Productions is funding everything itself. On the other hand, just because we do see more crowd-funding doesn’t mean there wasn’t some kind of pay-out. And of course, maybe Alec will have to pay something to the studios instead. This one, I suspect, will remain one of those mysteries we never learn the answer to…like where all those lost socks go when they disappear from the dryer. 4. Will there ever be a documentary about this? And finally, there’s the hoped-for documentary film “The Battle of Axanar” that Alec has mentioned a couple of times publicly (and I’ve mentioned previously on FAN FILM FACTOR)…telling the story of the creation of this fan film and the legal struggle that ensued. (I want Patton Oswald to play me!) Will that film ever get made? Does the studio want it to get made? Can the studios stop it? Does that become a bargaining chip in the settlement negotiations? Just to be clear, once again, I really do know nothing about any of the details of this. This is all pure speculation…absolutely pure! But until we know any more, we will all pretty much know nothing–except for Alec, the studios, and all of those darn attorneys. And even once we do know something, it’ll likely just be either that the case is settling or headed for trial. And according to Alec, we’ll know more on Friday. So stay tuned! Did CBS/P ever submit their financials on exactly how Axanar harmed their business? Wouldn’t this still have to be submitted on or before the end-of-discovery deadline even if talks were underway to settle? For if they don’t submit and don’t settle, can’t Axanar argue that the case should be tossed because CBS/P had a Rule 11 problem and didn’t clearly explain how they were affected? And this is how I can prove that no one on the defense team is leaking me any information because….I DON’T KNOW!!!! And I really want to!!!!!! Whatever the studios did or did not deliver by Friday is confidential, so Alec and Erin couldn’t tell me anything until such time as any additional pleading is submitted by the defense (if that even happens) requesting additional information or documentation be delivered before the discovery period ends tomorrow. It would be an absolute shame if the film couldn’t be made. But if part of the compromise was to allow for fan films to be 1 hour in length, we could still get a pretty good episode of Star Trek Axanar. Even if the compromise allows for episodic fan films again, we could still get more Axanar adventures along with benefiting other fan film makers. It also seems a shame if the lawsuit was to eat up the Axanar donations to limit what could be made. Wish we could all just get along. The guidelines limit the length of fan films to 15 minutes. I don’t think hour-long Star Trek fan films are coming back anytime soon…tragically. I don’t like sport, but I suppose this is what must be like to watch an incredibly thrilling match. Thank you again Mr. Lane, your coverage and ability to mantain suspense are awesome! Maybe I missed my calling as a writer! Hopefully, some middle-ground can be found that includes some form of Axanar. Well, you may not know anything about what happened behind closed doors, but you do know the names of your own “councilors” who have helped you make this one heck of a suspenseful saga. I feel like I’m hooked on some compelling Soap Opera, and just can’t wait for the conclusion. I think that’s one of the reasons Alec wants to make his documentary about this whole mess…such drama! Given some of the other news out of CBS right now, I would love for a “settlement” to involve hiring Alec on as Exec. Producer for the new series and running with the Axanar plotline (ie, CBS/Paramount “buys” his story, name him the show runner, and in exchange get a cut of the proceeds made from the product line). CBS/Paramount are NOT going to hire someone they sued. Yeah, they no like Alec Peters muchly. The problem for Axanar is that CBS/Paramount cannot allow any precedent that would create a safe harbor for unlicensed Trek films beyond what is already allowed by federal copyright law. That has to be their first goal. It just has to be. If they get nothing else, they have to make sure that they reinforce the ownership rights to their IP. They would never agree to any settlement that compromises this. So I wouldn’t hold my breath waiting for any Axanar project that doesn’t conform with the official fan film guidelines. The good news, however, is that it can be argued that CBS/P helped create Axanar by not pressing their rights earlier and more aggressively with previous unlicensed productions. This is where your “unintentional infringement” argument might have some play. If CBS/P accepts some culpability in that regard, they might be willing to give Axanar a bit more wiggle room with the guidelines, i.e running length extended to 30 minutes and funding expanded to $200k. All funding must come from existing $$: no more can be raised from any source. The film would need to conform to the guidelines in every other way, i.e. all volunteers and no Trek actors. In return, CBS/P would require that Axanar agree to liquidate all tangible assets acquired with crowdsourced funds above that $200k level (goodbye Ares Studio or whatever it’s called), and that no assets, tangible or otherwise, can remain after the production wraps. In addition, Axanar must cover the cost of a production accountant chosen by CBS/P to monitor enforcement of the agreement. Penalties for violating the settlement would be included and they would be financially crippling for Axanar and for Peters personally. Should this agreement be implemented, Axanar would be able to complete their project albeit on a much smaller scale, and CBS/P gets relief without the cost of a trial. Win-win. I’ll be honest with you, James: I can’t see how that’s a win-win. The result is the studios gets everything they want, and there is no Axanar. Why? “All funding must come from existing $$: no more can be raised from any source.” The vast majority of the donor money that remained after set construction and studio build-out has now disappeared down the black hole of monthly rent and utilities. So even if such a settlement happened tomorrow, there would not be enough money available to produce much of anything. Additional crowd-funding would be required, and your hypothetical settlement forbids it. Also, your proposed deal closes down the studio, which takes away the location for filming. So again, no Axanar. And finally, the stipulation that the production must be all volunteers and no Trek actors violates California labor law and also runs afoul of SAG union protections (as Axanar is a SAG signatory). Even if the studios forced such a clause into the settlement, it would be void and unenforceable as soon as it was signed. Now, I do agree with the first half of what you said. The studios have a vested interest in not settling unless they can walk away from this saying, “Look, we won. No one ever try this again!” Any precedent or loophole that Axanar can set for other fan films could be letting a genie out of the bottle for other fan productions to try to do the same. (Of course, I’d personally very much like that genie to be released! So would many other fan film fans.) But the studios are seeing this in a very tight, myopic way…and that is entirely understandable. In fact, I could see them pushing a very tough set of settlement terms on Alec. And despite Alec saying on Monday that things are close, there’s still the possibility that the remaining points are indeed “deal-breakers.” We’ll know more on Friday…I hope! Just remember, the risk to the studios is going to trial and NOT winning…or winning but with only a minor slap on the wrist from Alec Peters. If that happens, they’re going to wish they’d settled when they had the chance. So that thought should factor into the decisions they reach this week about how far to push right now. Odds are there isn’t going to be any Axanar, at least not as envisioned by Peters, but that’s not the bigger issue here. The studios aren’t afraid of tiny little Axanar. They’re afraid of the dozens of independent studios and hundreds of non-profit organizations that would take full advantage of the looser IP restrictions that would result from this case. Fighting each of those battles would be costly and time-consuming, quite possibly prohibitively so even for Viacom. They may decide that the Trek franchise, which is already on the downward slope of profitability, isn’t worth the effort and would sell it to some other… pardon the expression… enterprise. I think you misinterpret this clause in the guidelines. While it’s true that in California CBS/P can’t stop you from hiring Trek actors, they’re saying that using said actors would put you on the CBS/P radar for an infringement lawsuit. The suit itself would not seek damages based on their use, so they couldn’t be dinged for it. Instead, the suit would presumably be for overall IP infringement, not hiring actors (although using actors in their Trek roles would certainly strengthen their infringement case as it has in Axanar). This is entirely Axanar’s problem, not CBS/P. Reports are that they raised more than $1M. Isn’t that sufficient to make a 30 minute film? The guidelines are an implied contract, James. As such, if the studios were to sue a production for following every guideline except #5 (no paid participants or previous Trek actors), the suit would be dismissed as that clause in the contract is void. As for the “This is entirely Axanar’s problem, not CBS/P…” I think you can now understand why Alec Peters would not be inclined to take such a settlement offer. You just defined the problem; you didn’t provide a solution and you removed the only workable one. It’s true that I’m doing some wishful thinking, but perhaps not in the sense you intended. My personal opinion– for what it’s worth, and that’s very little– is that Axanar is in clear violation of federal copyright laws and that the jury will make Axanar cover CBS/P’s lawyer’s costs and court fees, a not insubstantial sum. I had thought that there might be some wiggle room for the defense until it was revealed in the deposition that Axanar did in fact have benefit of legal counsel prior to proceeding. That’s the nail in the coffin from my perspective because it shows a clear recognition that what they were planning could be illegal. My wishful thinking here is that maybe there’s a way that Peters and Axanar get out from under some of those 10 tons of pain headed their way. I’ve never met the guy and have no interest in fan films in general, but no fan should lose his shirt just because he let his fandom get out of hand. I hope that CBS/P is in a merciful mood and that Peters’ counsel advises him that the best strategy at this point is acquiescence. Appeal to the optics. “CBS/P Forces Trek Fan Into Bankruptcy” would not look good on the cover of Variety. That’s a very, um, interesting picture you’ve painted, James. I kinda want to see this thing go to trial just for the chance that it’ll provide such an amazing learning opportunity for so many people who think they understand what’s going on. But I guess we’ll just have to find out tomorrow it things settle and the learning opportunity never happens. Agreed. I’d love to see the studios have to publicly play out the mess they started. You don’t get it do you? Not one single clue. *IF* your fanfilm applies under California labor law (or any other labor law) it’s no longer a fan film, but a professional production. If your making a professional production that involves CBS IP, expect to get sued into oblivion. Sorry, it doesn’t work that way, Orange. You don’t have to take my word for it…although my wife is an employment litigation attorney here in Los Angeles. Essentially, it doesn’t matter if you’re working on a fan film or at a bake sale or at Wolfgang Puck’s. No entity can prevent another entity from being hired and/or from working on any project…at any rate of compensation. That is interference with trade, and trade does not always mean money has changed hands. Orange Jumpsuit gets it fine. Since Alec was neither sanctioned by the owner of the IP he can be barred from making Trek since he does NOT own it just like EVERY fan film can be barred from it also. You are mixing up say another plumber stopping Alec from becoming a plumber. Star Trek is owned by CBS/Paramount and as such THEY decide who and who can not make anything with their IP. Well, I suppose this lawsuit–if it goes to trial–will answer that question once and for all, won’t it? Just out of curiosity: Is it mandatory for settlement to be confidential or is it possible for the partys to agree to disclose certain parts of the agreement or is it either or. This way no other fan film can use Axanar as example why they thought they could do what they did and not get sued, since there is a precedent set by Alec stating he infringed willfully. This should cover the fear of the studios of the 10Mio production in the future. Alec could make his film and the donors are satified to. I don’t know if I missed some things in your blog or comments about the wishes of C/P and Alec but I think they could be adressed in an disclosed/undisclosed sort of way. Now there nothing more to do than wait for tomorrow and hear if there is a settlement. In the vast majority of cases, terms of a settlement are confidential. It saves either side from admitting any wrongdoing. Next Next post: STARFLEET STUDIOS releases RAVEN and launches NEW KICKSTARTER campaign!